Become a veteran Admiral and command your fleet through some of the most dangerous missions. 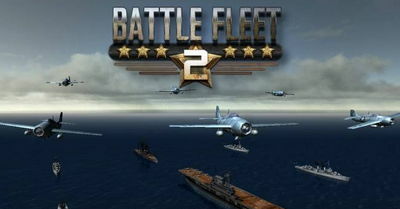 Battle Fleet 2 by Mythical City Games lets you take control of your own fleet of warships and captains as you fight epic battles against tenacious enemies. But remember, you must be a master strategist in order to be victorious! - Epic firepower like AA guns, torpedoes, and different caliber naval artillery. 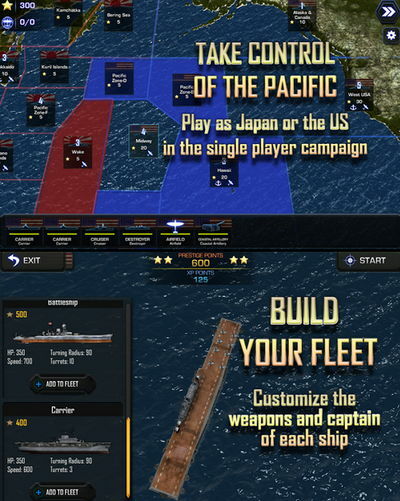 - Play the Pacific or Atlantic strategic campaign modes, random skirmish mode, full cross platform multiplayer, or even hotseat multiplayer.